Gray School Of Music in San Pedro California has been teaching students how to play instruments since 1950. Our instructors teach all types of instruments and voice. Over the years we have had the pleasure of giving music lesson to all types of levels from beginner to expert. Please feel free to call us with any questions you may have @ (310) 832-0519 or use the form fill located on the Sign Up Today Page. 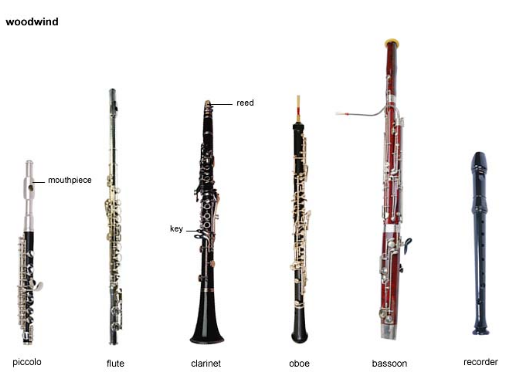 Please click on on of the four main instrument families that you are interested in to visit that page. If you do not see your favorite in the top ten list give us a call. With 66 years of experience we most likely have you covered. Additionally, we have been teaching voice lessons to up and coming singers in the Rancho Palos Verdes and San Pedro area for years. Piano, Guitar, Violin, Cello, Voice, Ukulele, Flute, Sax, Trumpet, Bassoon, Tuba, Banjo, Stand Up Bass, Theory and Arrangement.... We teach it ALL! Call us Today!